Young players often lunge at pitches when trying to hit. To eliminate this tendency, and establish proper balance, eye contact on the ball, and consistent hip turn in a player’s approach to hitting, “elbow” swings are a fun way to train. 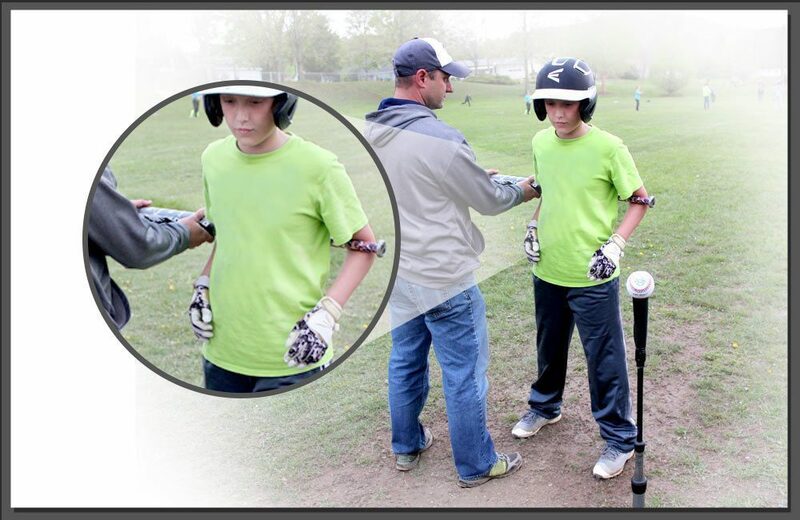 To do this drill, all the equipment you will need is your child’s bat, batting helmet, a batting tee, and a net, fence, or other shock-absorbing surface to absorb the impact of the ball after it is hit, like an old blanket. A baseball, softball, or tennis ball all work great. Your Little Leaguers® should also wear cleats they normally wear to practice or a game, if you’re doing this drill on a hard or paved surface, have the player wear sneakers. For a right-handed batter, have the player, while wearing a helmet, put the bat behind their back, with the barrel of the bat on their right side, over the back foot. Have the barrel cradled and locked in with the right elbow, and the knob of the bat cradled and locked in with the left elbow. 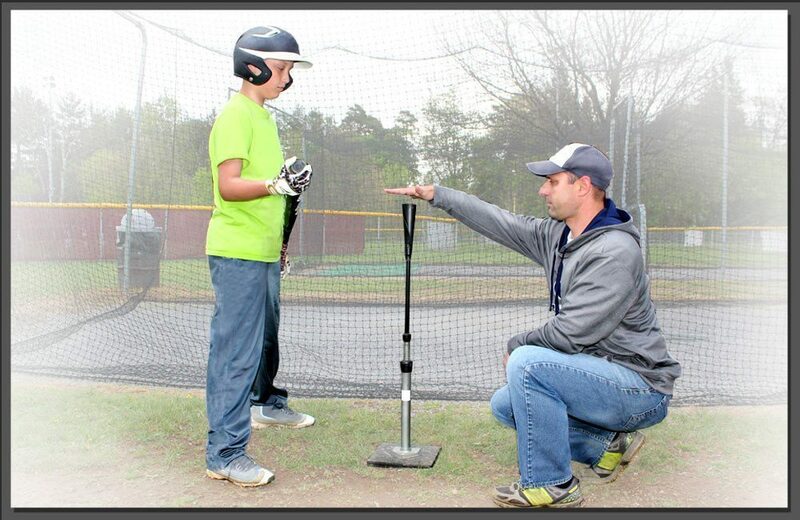 Place the batting tee directly in front of the player, and rise the tee to belly button-height. Before placing a ball on the tee, have the player assume an athletic stance and take a couple of practice pivots so you can see if they are driving their hips toward the ball. 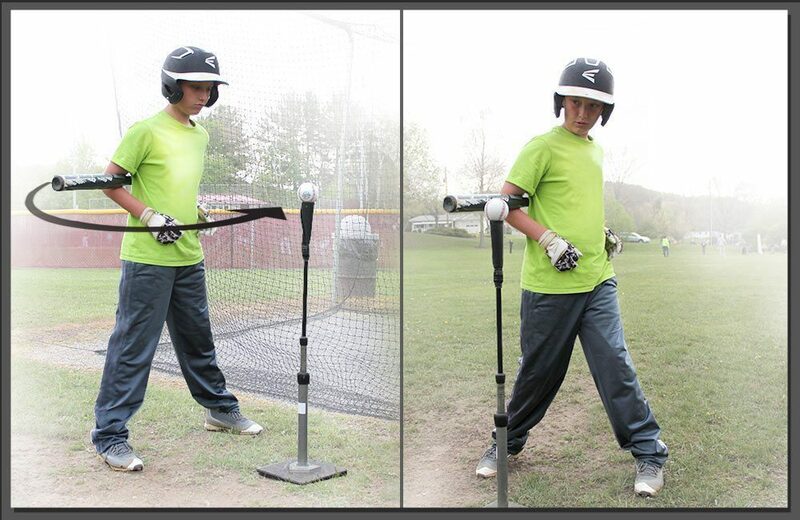 The barrel of the bat should clip the very top of the tee. If it does not, adjust the tee’s height so that when the player pivots, the ball will be contacted. The point of this drill is to have the player rotate their hips and drive the ball, rather than lunging at the ball. Look for good hip rotation and drive by focusing on the player’s back hip. From the same basic athletic stance, the player should just be rotating the hips and hitting the ball off the tee into the net or fence, not stepping or pivoting on their back foot. Repeat this drill few times, but focus on the player’s technique. If the player begins to lean into the ball, or wants to shuffle their feet toward the tee, these are signs of fatigue and indicators to end the session.